(This was a real transaction, the names and locations have been changed to protect the innocent.) 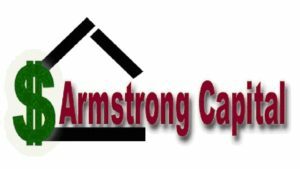 An older woman named Marge Popovich contacted Armstrong Capital in response to our marketing efforts. Her note came from the sale of a small commercial property in a little suburb outside of Oklahoma City, Oklahoma. Marge had operated her beauty salon out of the property for the past 20+ years. The salon was thriving but she was tired and ready to move on. One of the beauticians in her salon, Hang Lee, had offered to buy both her business and the building from her if she ever decided to sell. One afternoon in between styling hair and giving permanents Marge and Hang sat down and came to an agreement. The price that they decided was $50,000 for the business and $75,000 for the building. Hang Lee was the daughter of Vietnamese refugees who had escaped penniless from the fall of Saigon and did well in America. Marge accepted $50,000 cash for the business and another $50,000 as a down payment for the building. Marge carried a seller-financed first position note for $25,000 which had a balance due of only $16,500 at the time she had contacted us. At first we didn’t believe that Lee had actually paid $50,000 cash for the business AND $50,000 cash as a down payment for the building. Experience has taught us that if a person puts a large amount down to buy a property, it’s generally because they got a loan somewhere else, the seller doesn’t understand. The seller thinks they have a first position note, but in reality it is a second position note. So we checked it out. We collected some information from Marge and contacted the title company that closed the sale of the property. We asked if Lee had gotten a loan for the $50,000 down payment or the $50,000 she paid for the business and the title company verified that in fact she had paid it from her own funds and they had deposited into their trust account during the transaction. That was a surprise, a good surprise, that Lee had really paid $100,000 cash out of her pocket! Knowing that we were definitely dealing with a first position note we were ready to move forward. We had then agreed to buy Marge’s note for $10,000, subject to due diligence. We had Marge sign our initial Mortgage Purchase Agreement and collect copies of all of the pertinent documents and information from her. Everything seemed to be in order at that point. We ordered the appraisal and an update to the existing title insurance policy. We verified that the hazard insurance was in place and had enough coverage. The payment history that Marge gave to us showed an impeccable payment record from Lee sometimes paying more than the required payment amount. While waiting for the title company and the appraiser we also did some internet research on our own. We “googled” the seller’s name and up popped a website for the beauty salon that she had sold to Lee and it even had a picture of the building too. It looked like Lee was taking very good care of the property. We “google mapped” the property address and got a bird’s eye view of the neighborhood and in this particular case we were even able to “virtually” walk around the block. Everything looked fine and we were already getting a nice warm and fuzzy feeling about buying this note. We then “googled” the payor’s name and that is when it got a little interesting. It turns out that Hang Lee was quite the entrepreneur with several seemingly successful businesses under her belt. You would be surprised what you can find out on the internet these days. Still waiting for the appraisal and title to come in we decided to make our Estoppel call to Lee and just verify the information on the note and see how business was going. She turned out to be a very well-mannered young woman in her mid 30’s, bubbling with enthusiasm and willing to answer all of our questions. She couldn’t resist telling me that he had another beauty salon and was opening yet another very soon and she just loved the business. She had just purchased thousands of dollars of new equipment for the salon and paid all cash as well. Lee explained how profitable beauty salons had been for her and how happy she was with her success. The appraisal of the building came in for more than it was sold for and the title work came in clean and clear. We had done all of the routine checks and balances and more and had found the note to be sound and practically risk free. Hang Lee’s credit was immaculate. The payment record was perfect. The documents were all in order. As far as real estate notes go, it couldn’t be much better than this. We had a very low loan to value, very low investment to value and a very warm and fuzzy feeling about the entire transaction. We bought the note. A couple of months after we had begun to collect payments we got a call from a law enforcement agency informing us that Hang Lee had been arrested and may be in jail for some time and asking us if we had any information. We did not; all we knew was that the payments had kept coming in to us out of the beauty salon checking account. We were worried that the payments might not continue if Lee was in jail for awhile and made our own call to the beauty salon. Apparently, the person that Hang left in charge of the beauty salon business had kept operating the business and paying the bills, including our payment, every month. If the note had gone into default, or if it ever does, we are in a very good position and we will at least get our money back and probably make a profit as well. But I’d rather have the cash flow keep coming in. We’ve got a couple years left on the note and the payments have come in like clockwork since the time we purchased the note. With proper due diligence and investigations a note buyer can alleviate a lot of the risk associated with buying a note. But nothing can predict or give a note buyer any indication of potential pitfalls that could come up like the jailing, death, divorce or illness of the payor. Some of the risks of buying a note we just have to accept and have a little luck on our sides.